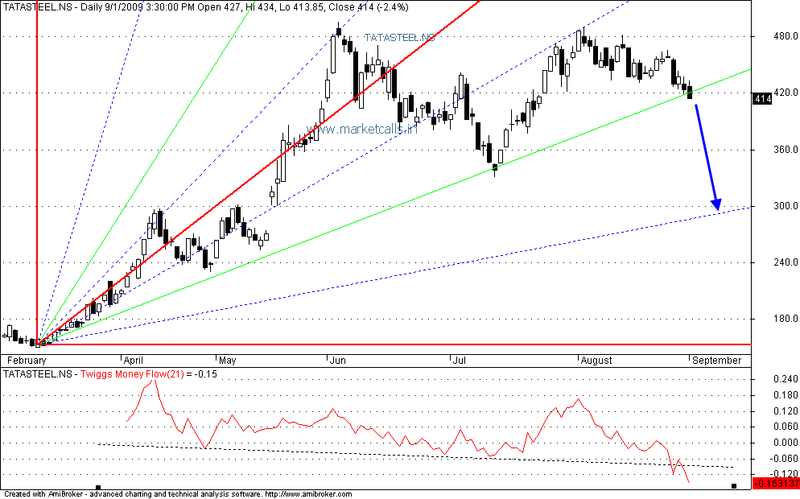 more possibly it will be focussed towards the next gann support Rs 300. Your view on Tatasteel is excellent. Dear Sir,Im a regular reader of your blogs. I have been a Investor since Last 2 yrs.. I need some prospects about UNITECH.. SO kindly provide UNITECH charts and give us proper guidance on this stocks. i am reding ur blog for past 3 months. very good. i have losst so much amount in share market . can i take tata steel Put now..please sugest me and help to recover my loss..